The neck contains a high concentration of vascular, aerodigestive, and spinal structures in a relatively confined space. 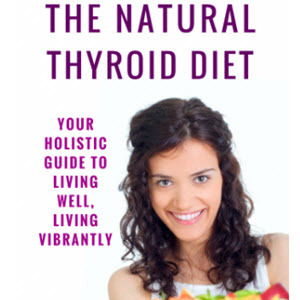 Other susceptible structures include the thyroid and parathyroid glands, lower cranial nerves, brachial plexus, and thoracic duct. Many of these structures are in close proximity to the skin, and therefore vulnerable to injury. Only the spinal cord has bony protection. There are several anatomic classifications of the neck. 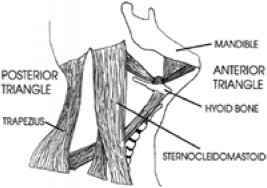 Traditionally, anatomists have defined the neck in terms of anterior and posterior triangles, as divided by the sternocleidomastoid muscle (Fig, 2.50.-1). The anterior triangle is bounded by the midline of the neck, the lower border of the mandible, and the anterior border of the sternocleidomastoid muscle. Within this triangle are most major vascular and aerodigestive structures. The carotid artery, internal jugular vein, vagus nerve, thyroid gland, larynx, trachea, and esophagus all lie in the anterior triangle. The boundaries of the posterior triangle are the middle third of the clavicle, the anterior border of the trapezius muscle, and the posterior border of the sternocleidomastoid muscle. The posterior triangle has few vital structures, except at its base where the subclavian artery and brachial plexus are located. FIG. 250-1. Triangles of the neck. An alternative anatomic classification divides the neck into three zones ( Fig , .250-2). This classification was established to guide the clinician in the diagnostic and therapeutic management of penetrating injuries. Various authors have defined the zones differently. The most widely used classification is that of Roon and Christensen.2 By their definition, zone I extends from the clavicles to the cricoid cartilage. Zone I includes the vertebral and proximal carotid arteries, major thoracic vessels, superior mediastinum, lungs, esophagus, trachea, thoracic duct, and spinal cord. 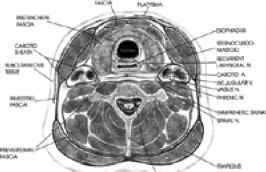 Zone II extends from the inferior margin of the cricoid cartilage cephalad to the angle of the mandible. Injuries in zone II may involve the carotid and vertebral arteries, jugular veins, esophagus, trachea, larynx, and spinal cord. Zone III is located between the angle of the mandible and the base of the skull. The distal carotid and vertebral arteries, pharynx, and spinal cord are all at risk of injury in zone III. FIG. 250-2. 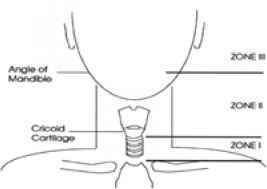 Zones of the neck. The structures of the neck are supported by a series of fascial layers ( Fig 25.0-.3.). The superficial fascia surrounds the platysma muscle. This thin muscle covers the entire anterior triangle and the anteroinferior aspect of the posterior triangle. The platysma is the most superficial structure beneath the skin and subcutaneous tissue, and serves as an important planar landmark when evaluating penetrating neck injuries. Beneath the platysma is the deep cervical fascia, a series of fascial compartments that support the muscles, vessels, and viscera of the neck. The deep cervical fascia divides into the investing, pretracheal and prevertebral layers. The investing layer splits to enclose the sternocleidomastoid and trapezius muscles. The pretracheal layer attaches to the thyroid and cricoid cartilage and blends with the pericardium in the thoracic cavity. The prevertebral layer covers the prevertebral muscles and blends with the axillary sheath, which encloses the subclavian vessels. All three layers of the deep cervical fascia combine to form the carotid sheath. The tight facial compartments provide a tamponade effect, which limits potential for external bleeding from vascular injuries. Bleeding within these narrow compartments, however, can result in extrinsic compression and airway compromise.